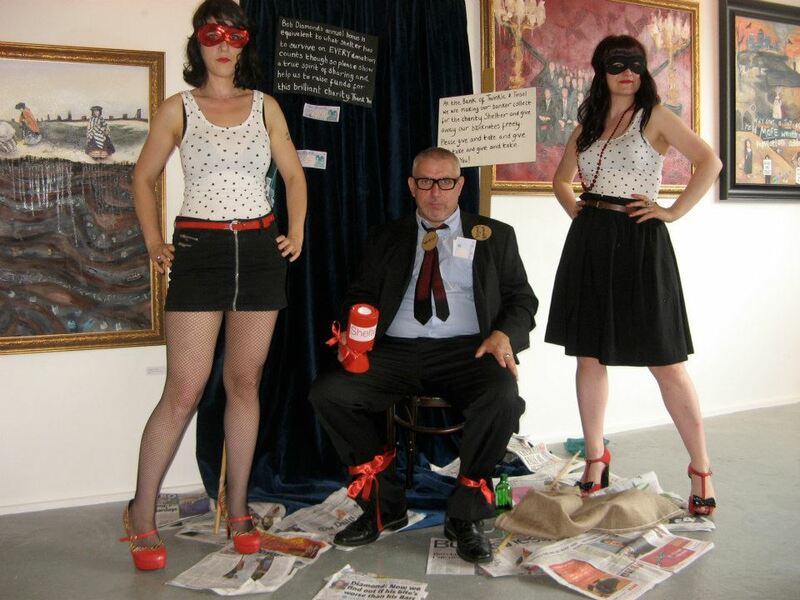 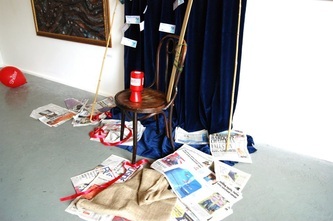 In 2012 Twinkle and Tinsel had an exhibition at A-Side B-Side gallery in Hackey. 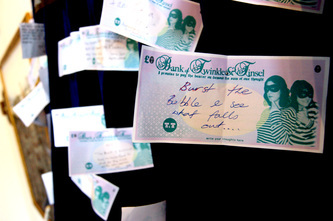 The exhibition was titled A Mini Retrospective and was a selection of their individual art works from across the years. 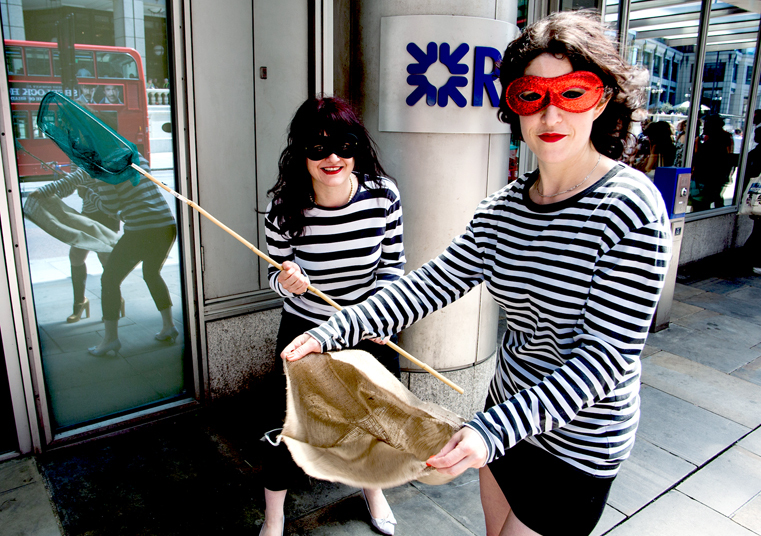 Alongside the works on display the duo staged the kidnapping of a banker, tying him to a chair with red ribbon and forcing him to collect money for Shelter for the duration of the opening night. 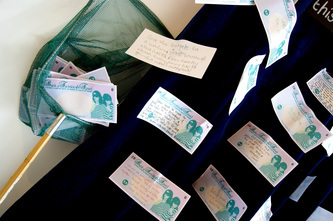 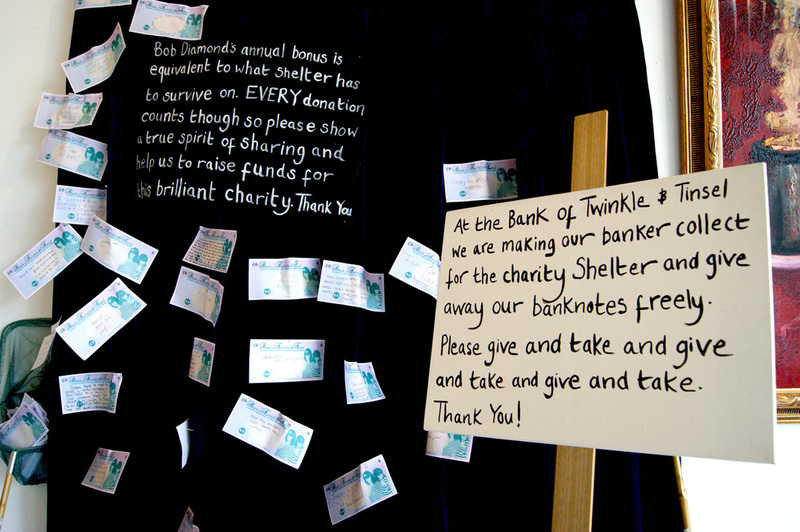 While the kidnapped banker was put to doing some real work, Twinkle and Tinsel staged the first ever Bank of T&T and asked visitors to the exhibition to share their thoughts for the display which was created around the banker. 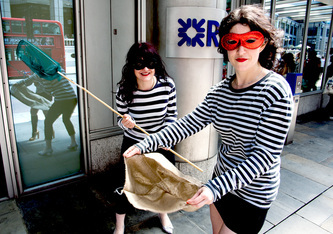 The fishing nets used to catch the banker, along with lots of newspaper articles on Bob Diamond of the Barclays Bank controversy strewn around him. 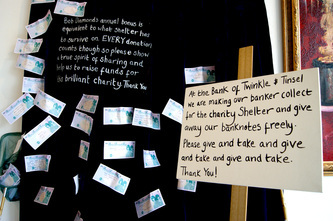 Images from The Kidnapped Banker are below and interviews and press on this even can be found here.